Are you in need of more energy each day? Feeling tired, depressed or just a little unhealthy lately? If you answered ‘yes’ then it’s probably a good time to turn your eating habits around and begin ingesting more vitamins, protein and antioxidants into your body. Detox regimens are one of the best methods for cleansing your body which will remove dirty toxins that have likely been building up for a while. 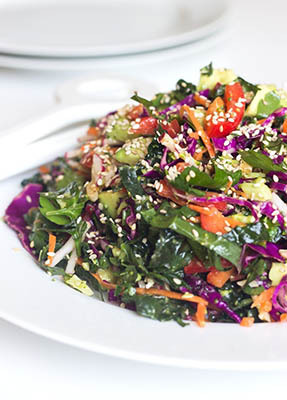 Although any traditional salad can be good for you, detox salads take things to a whole new level! Detoxifying your body could not be easier with such delicious tasting food. Try making the lemon dressing detox salad recipe below and see how fun a new detox regimen can be. Enjoy a great meal while also cleansing your body to improve mood and lose weight at the same time! 1) In a medium bowl or blender, combine dressing ingredients and process until fully integrated. 2) In a very large bowl (or a large pot), combine all salad ingredients from cabbage to walnuts and toss well. Gently fold in avocado. (Or, add a portion of the avocado to the amount you’ll be dressing and serving). 3) Toss dressing with vegetables until well mixed. Transfer to a serving bowl and top with sesame seeds and black pepper to taste. In total, this salad takes about 25 minutes to make. It will server 4-6 so you can share with friends or store in the refrigerator to eat once or twice each day. 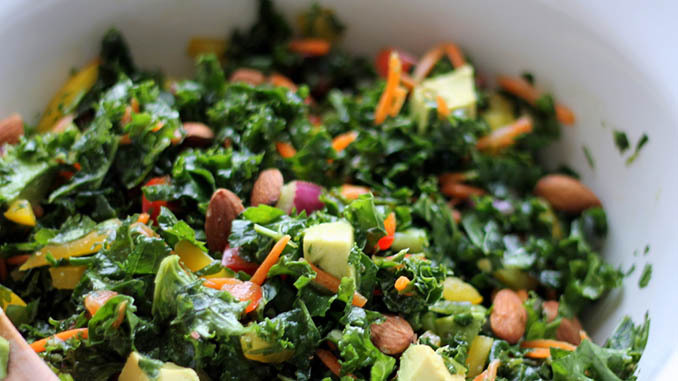 Best of all, just about every single ingredient within this salad is extremely healthy for you, offering numerous health benefits for your body. Broccoli, carrots, avocados and other fresh fruits and vegetables will give you a blast of daily energy!